A set of 19 Macallan Fine & Rare bottles has become the most expensive spirits purchase in travel retail, racking up a checkout total of US$361,000. Although yet to be verified by Guinness World Records, Le Clos claims the sale of 19 bottles of The Macallan Fine & Rare is the biggest in travel retail history. The sale, made at Dubai International airport’s fine wine and luxury spirits retailer, Le Clos, was made to a Dubai-based businessman. The purchase of the 19 bottles, which contain vintages ranging from 1938 to 1974, surpasses the SG$250,000 (US$200,000) record set by DFS Singapore Changi Airport in 2011 for a bottle of The Dalmore 62, procured from master blender Richard Paterson’s personal collection. Le Clos is yet to have the sale verified by Guinness World Records. The Macallan Fine & Rare Collection is a series of individual vintages from the Speyside distillery. Only a small number of bottles are released each year, with the earliest vintage stretching back to 1926. Macallan and Le Clos have since invited their valued customer to attend a complimentary private dinner at the Macallan estate as a gesture of appreciation. 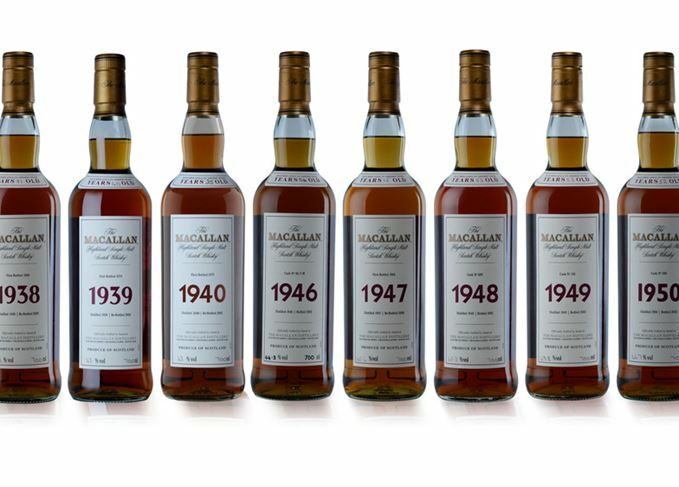 In 2014 a New York auction successfully sold the largest ever collection of Macallan Fine & Rare, a lot of 40 bottles with vintages ranging from 1937 to 1972, for US$430,000. Le Clos’ sale breaks the store’s previous record of US$112,780 for a basket containing The Macallan Lalique plus other 50-year-old single malts, to a Chinese customer in 2014. The Macallan Fine & Rare Collection consists of around 50 vintages. Latest addition to distillery’s Fine & Rare collection is priced at $10,000 a bottle. 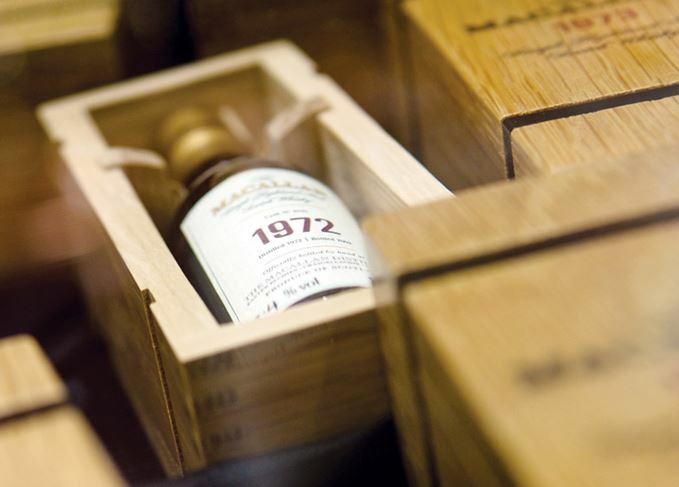 The 1972 bottling joins more than 80 lots of Macallan in the Hong Kong sale next Friday. Dubai-based retailer Le Clos breaks own record with latest Macallan Fine & Rare sale. The first whisky in Macallan’s new duty free series is an exercise in ‘unconventional maturation’.